Medisys Instantize BCAA 6000 is an amazing pre-workout supplement that provides extra energy to your muscles. It features extra power with the blend of Leucine, Isoleucine, and Valine as amino acids. These supplements not only help in improving muscle recovery but also help in providing extra energy which is quite necessary for heavy workout sessions. It gives enough energy to the muscles to enhance protein synthesis to prevent muscle loss. It strengthens muscles and also prevents muscle loss. The fruity tangy taste of Medisys Instantize will add an extra twist in the supplement. So, say good bye to those regular flavors and enjoy the splash of fruity taste in BCAA. The prime goal of Medisys BCAA is to reduce muscle damage and to boost overall muscle performance. It’s a great supplement for gym lovers who want to add fuel to their workout regime. It supports muscle building and aids in providing strength to the muscles. Not only this, the Instantize BCAA 6000- Fruit Punch will also help to activate protein synthesis by reducing catabolic muscle breakdown. You can use this during strength or endurance training for great recovery and build lean muscles. 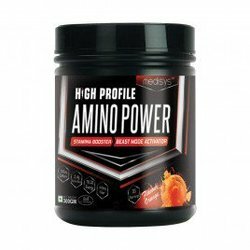 It contains free amino acids and branched chain amino acids for fast recovery and to maintain lean muscles.